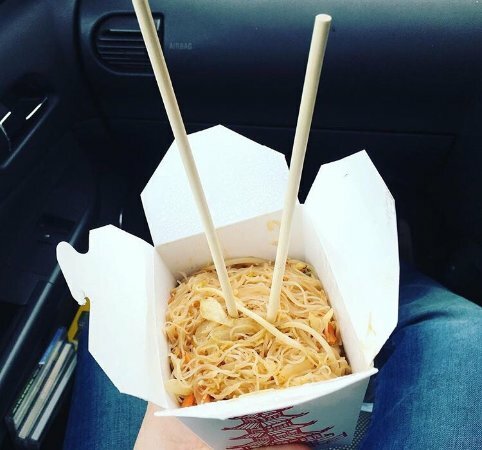 Freshly made noodles perfect for a lunch. 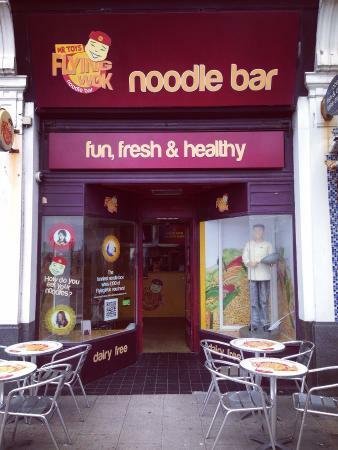 Good choice of noodle types and sauces. 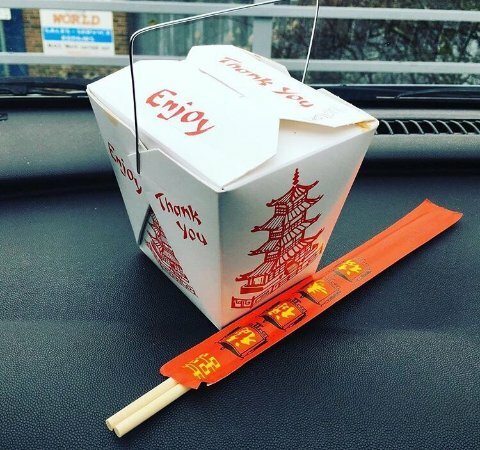 Served in the classic Chinese takeaway folded pots and the portion size is excellent. We order from here regularly and generally enjoy their food but they can be a bit inconsistent flavour wise depending on which chef is on. Tiny on size but BIG on flavour! Cheap, quick, tasty. Staff not that friendly. 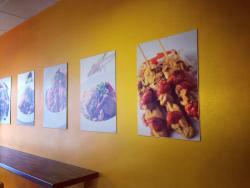 Good for a late dinner to take away, opened up to 23 Friday and Saturday. They only accept cash. Don't bother asking for duck rolls, they hardly have duck in them. 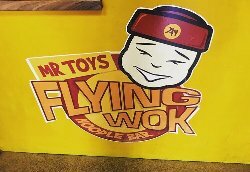 Get quick answers from Mr Toy's Flying Wok staff and past visitors.